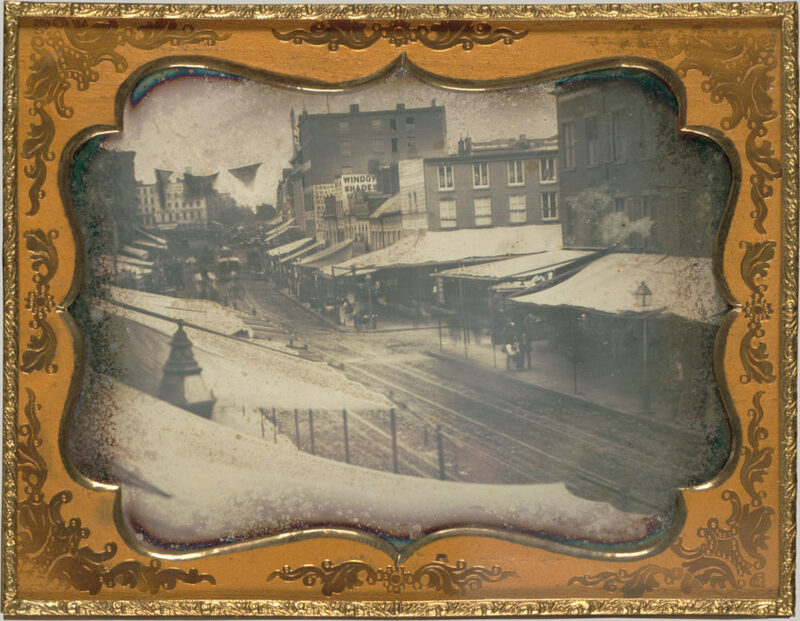 PODCAST The saga of the early days of photographic images and how daguerreotypes became all the rage in 1840s New York. We’re taking you back to a world that seems especially foreign today – a world with no selfie sticks, no tens of billions of photographs taken every day from digital screens, a world where the photograph was a rare, special and beautiful thing. 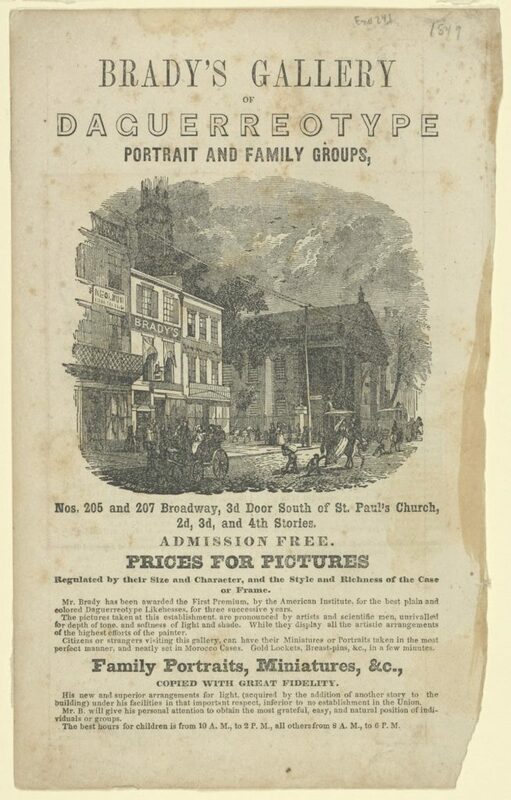 New York City plays a very interesting role in the development of photography. While the medium was not invented here, many of its earliest American practitioners were trained here. 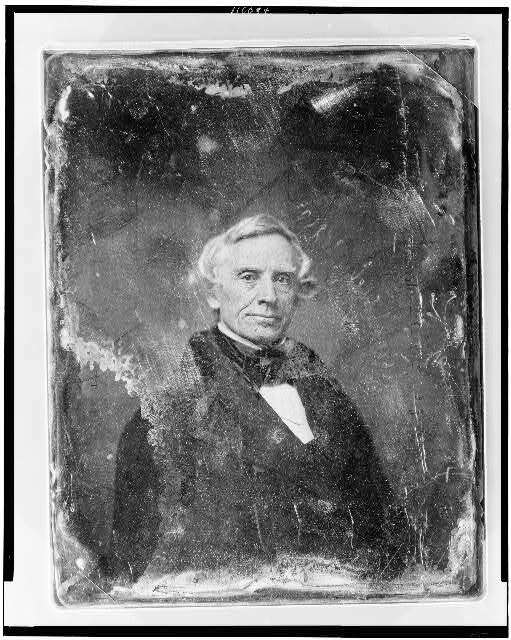 In particular, the students of Samuel Morse (better known for his invention of the telegraph) became masters of the daguerreotype portrait in the early 1840s. The first space photography was taken from the rooftop of New York University. 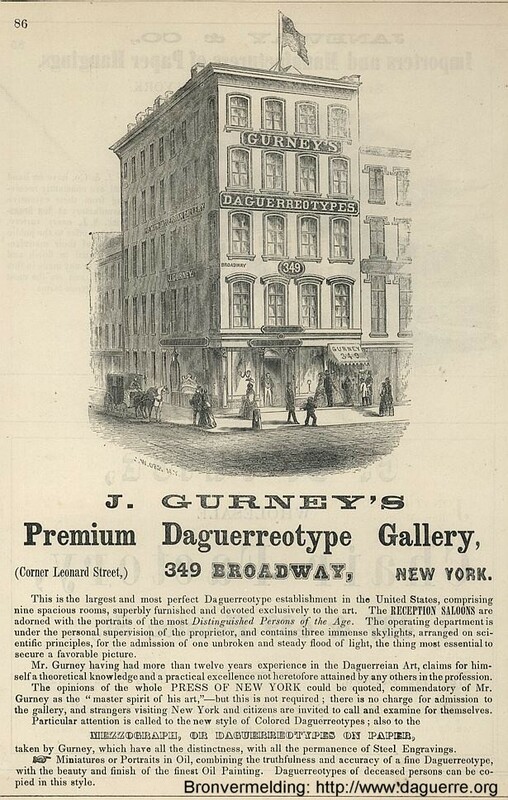 Broadway was known across the country for its dozens of daguerreotypists and their lavishly appointed galleries. 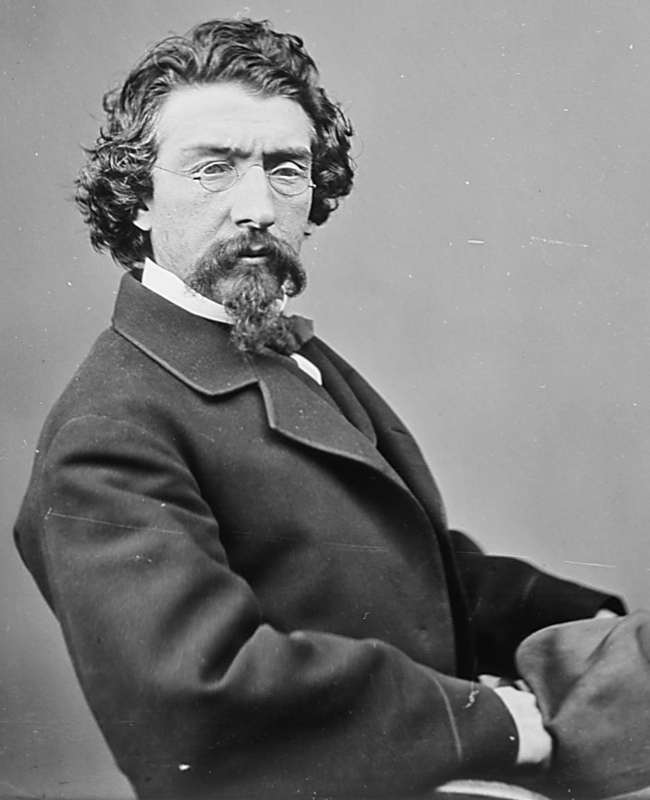 But the greatest of them all was Mathew Brady who, from his famous Broadway studio, focused on capturing the images of the world’s most famous people — from Abraham Lincoln to Barnum favorite Tom Thumb. 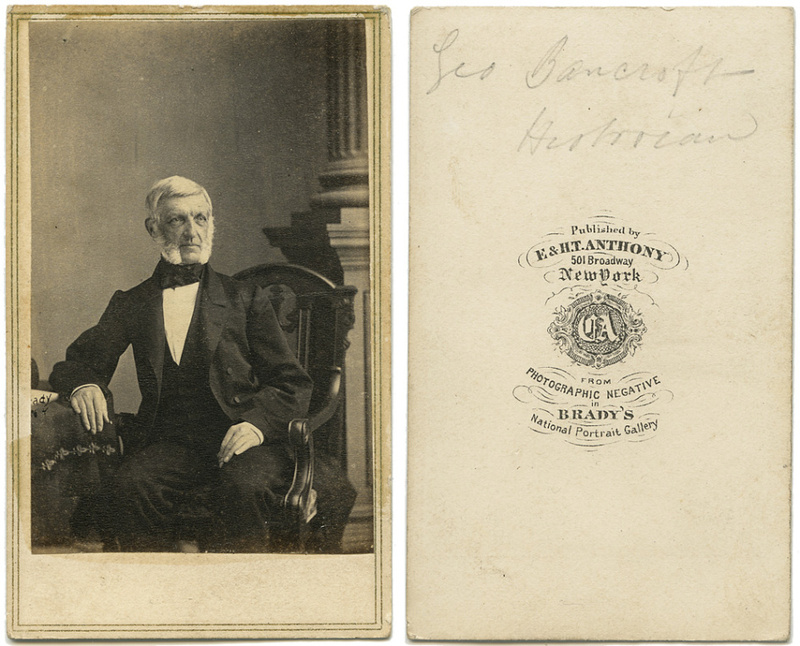 You may know Brady from his Civil War photography, bringing a dose of realism into the parlors of sheltered New Yorkers. One particular gallery show in 1862 called The Dead of Antietam would shake the city and set the stage for the invention of photojournalism. To download this episode and subscribe to our show for free, visit iTunes or other podcasting services or get it straight from our satellite site. You can also listen to the show on Google Music, Stitcher streaming radio and TuneIn streaming radio from your mobile devices. The Bowery Boys: New York City History podcast is brought to you …. by you! We are now producing a new Bowery Boys podcast every week. We’re also looking to improve the show in other ways and expand in other ways as well — through publishing, social media, live events and other forms of media. But we can only do this with your help! We greatly appreciate our listeners and readers and thank you for joining us on this journey so far. 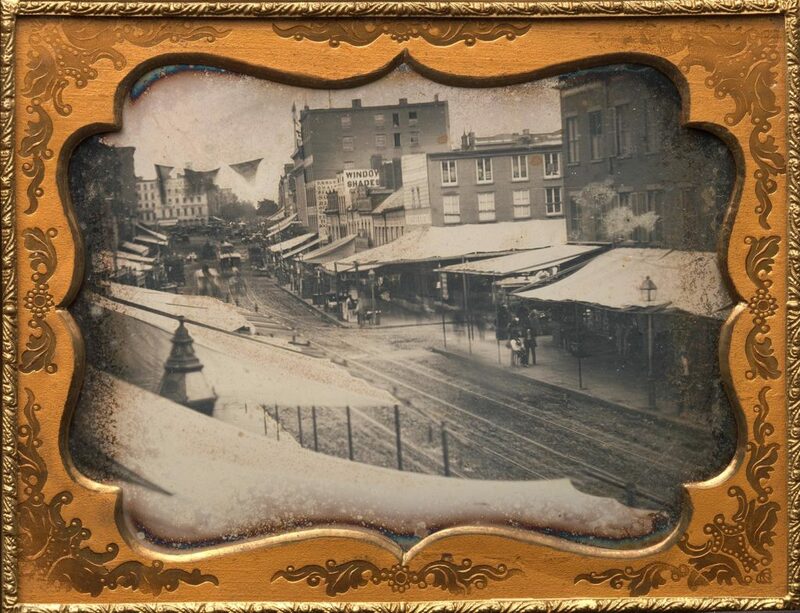 Louis Daguerre’s 1838 picture of Paris’ Boulevard du Temple. 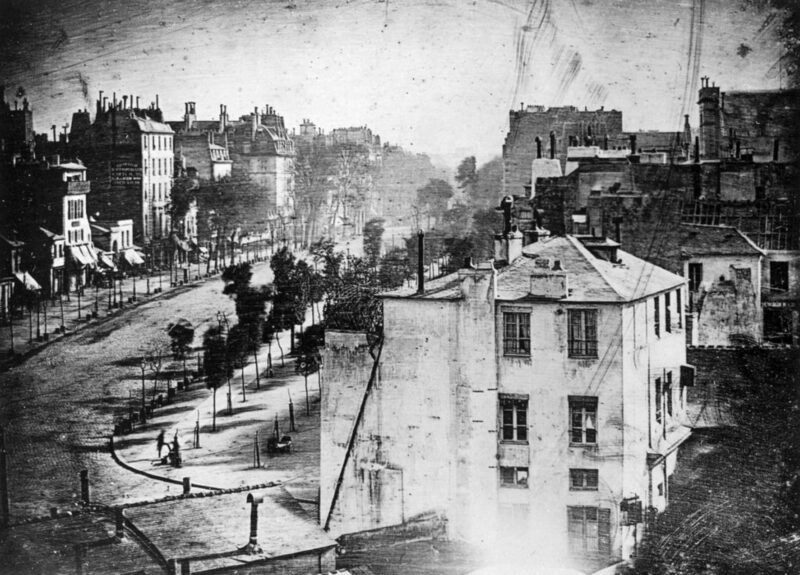 On top of being one of the very first images of a city ever taken, it also contains the first image of a human being (the man getting his shoes shined in the bottom left corner). 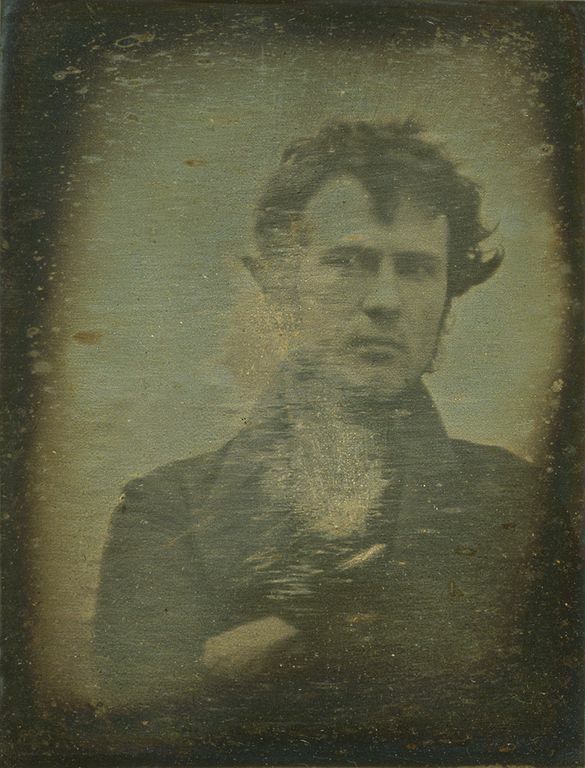 Robert Cornelius’ 1839 images of himself, taken in Philadelphia, is not only the oldest known portrait of a human being, but it’s also the first self-portrait. 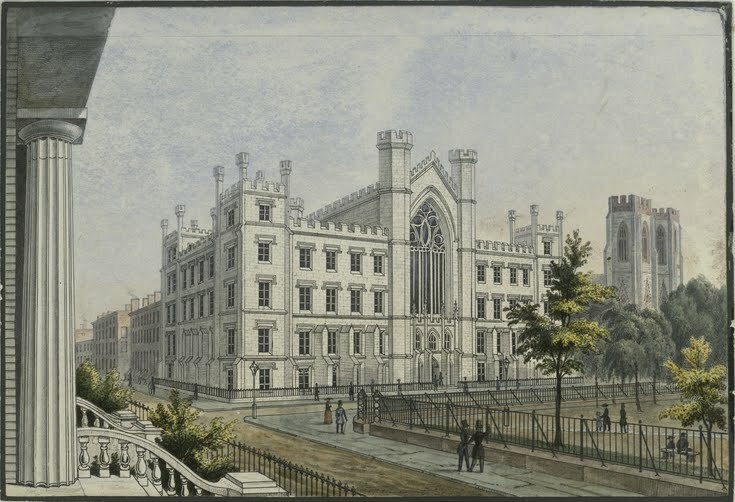 The rooftop of the Old University Building, on the northeast corner of Washington Square Park, was the site of the first photographic studio, maintained by Samuel Morse, John Draper and other budding innovators at the University of the City of New York. 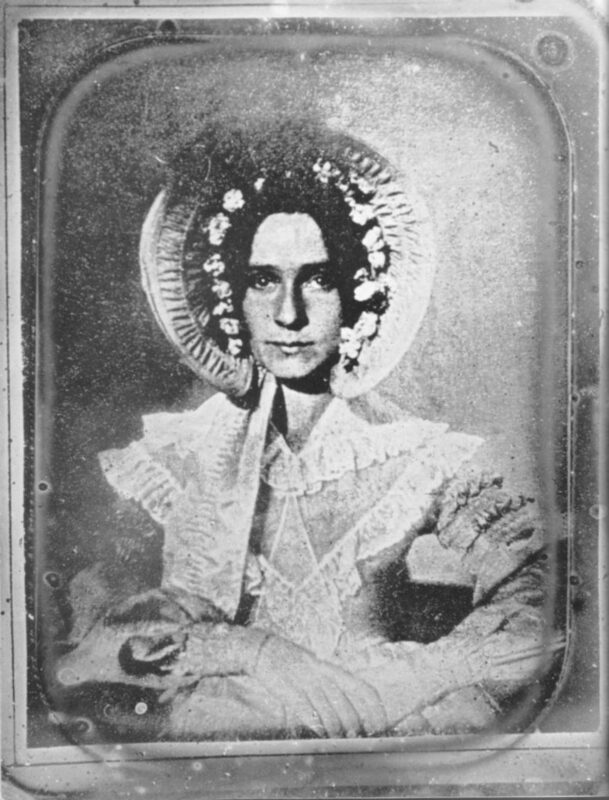 The first portrait of a woman (Dorothy Catherine Draper) taken by her brother John Draper from the rooftop of the University Building. 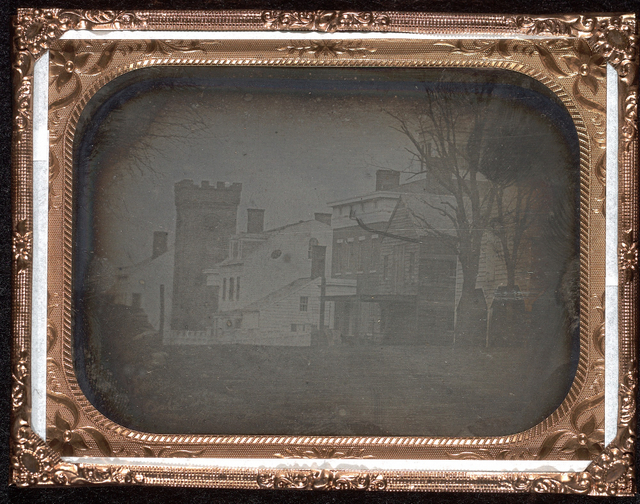 Morse and Draper took this image of a Unitarian Church on Broadway at Waverly Place in late 1839 or very early 1840, making it the oldest existing photographic image of the city in existence. 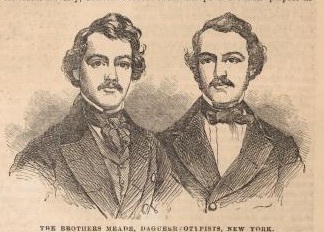 The Meade Brothers, two famed portraitists of the Broadway scene in the 1840s. 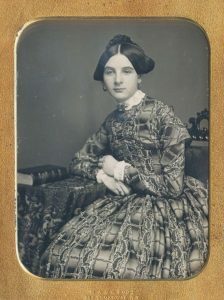 Most likely this image (taken from a publication) was made from an actual daguerrotype. 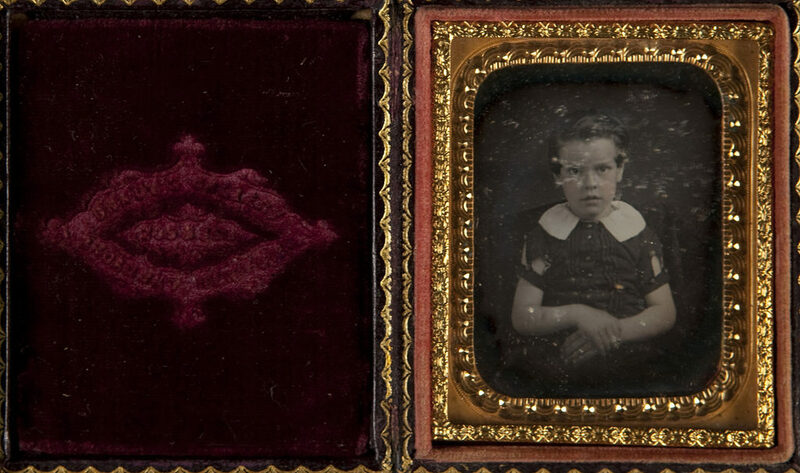 An 1847 portrait from Brady’s portrait studio of a boy in its gilded frame and case. 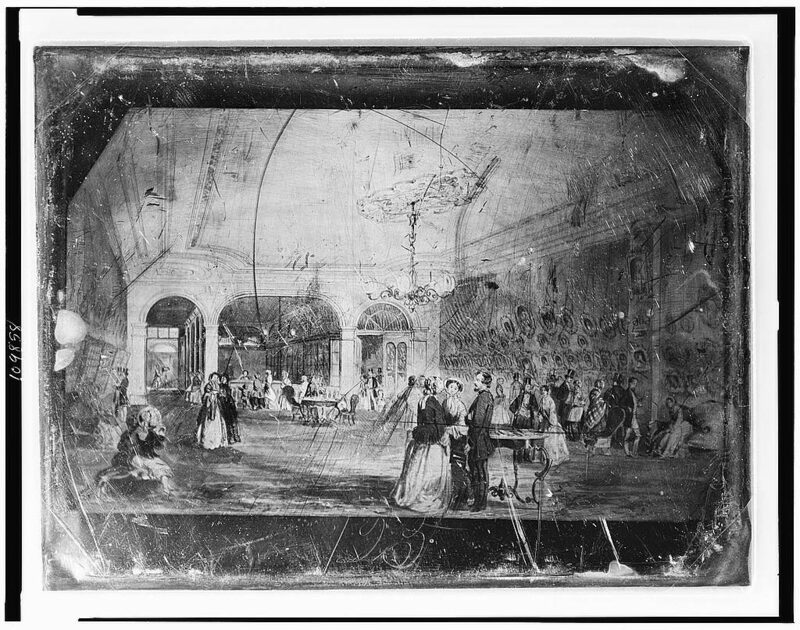 Plates were often painted to bring the image to life. 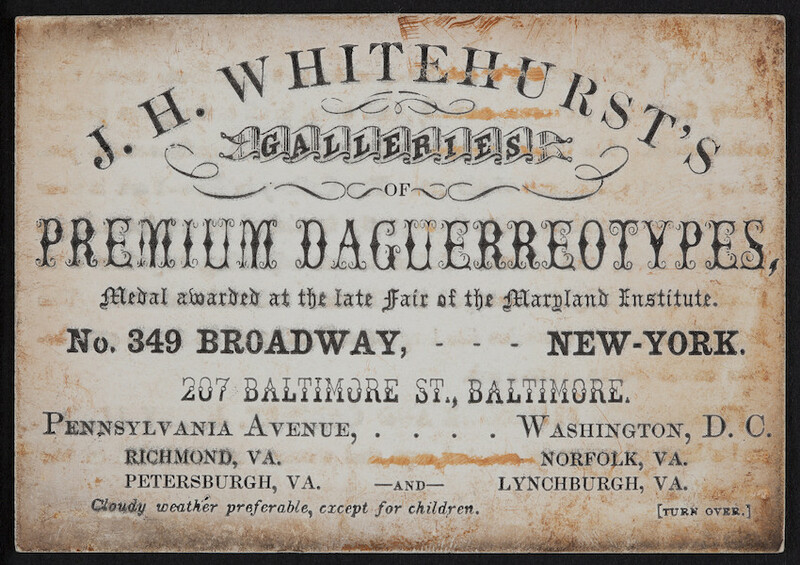 Daguerreotypists lined Broadway and often had flamboyant signage to lure in people from the street. 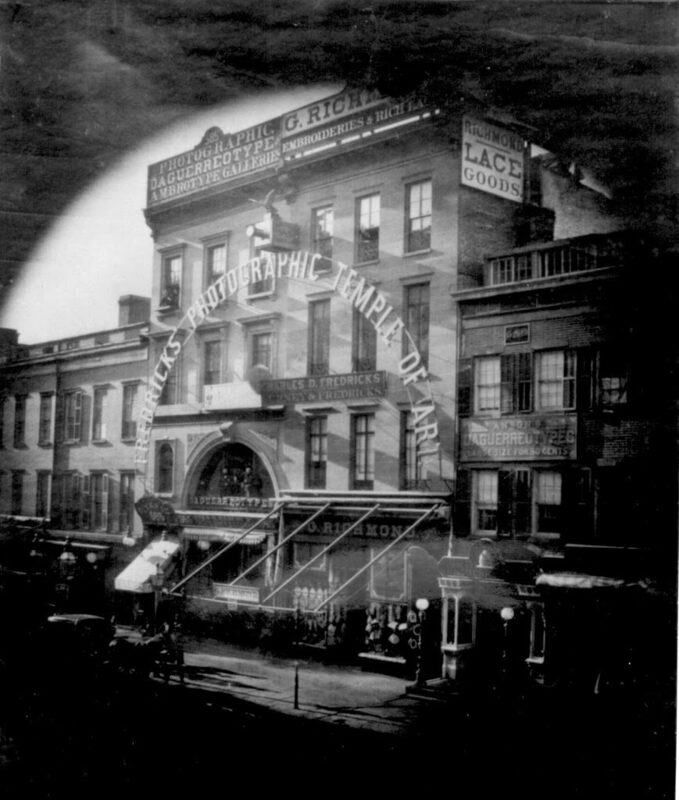 Fredrick’s Photographic Temple of Art was located at 585 and 587 Broadway, right off of Houston Street. 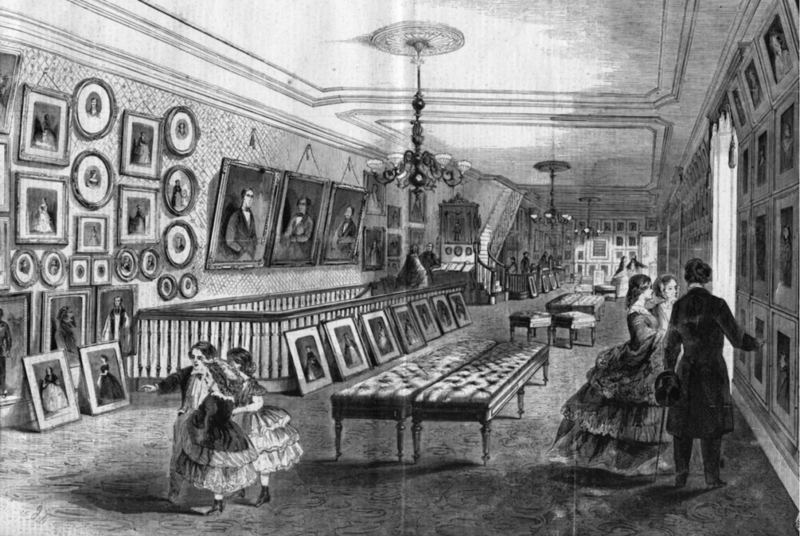 The interior of Brady’s Daguerrian Gallery circa 1854, a sumptuous space with walls lined with spectacular images from Brady and other photographers. 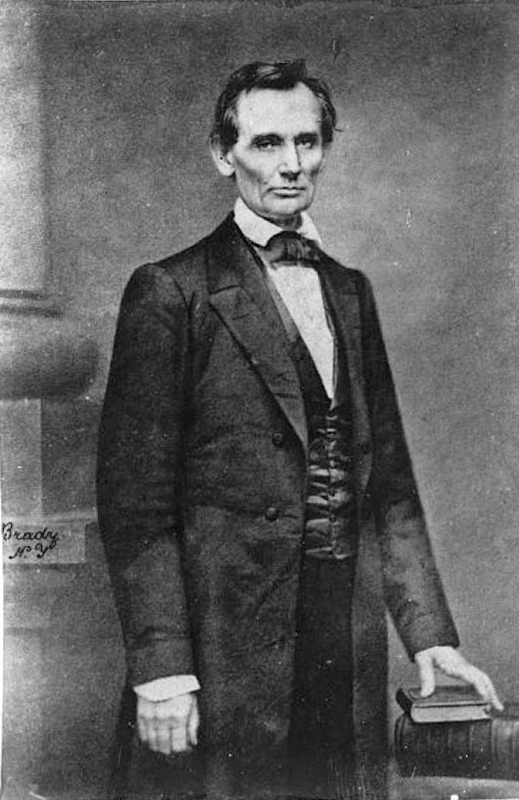 Mathew Brady’s first pictures of Abraham Lincoln, taken from his Broadway/Bleecker studio. 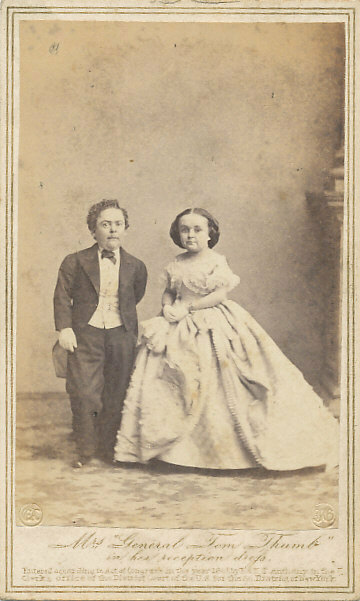 … and of Tom Thumb (Charles Stratton) and Lavinia Warren Stratton, taken in Brady’s Broadway studio. The second episode of the Bowery Boys spin-off The First: Stories of Inventions and their Consequences which highlights the story of Dorothy Catherine Draper, the first woman to ever sit for a photograph.